Algae Sample 2518. Sample provided by Dr. Chris Lane at Univ of Rhode Island (in collaboration with Dr. Charles Delwiche, UMD). Chloroplasts in red, eyespot and other structures in green. (Leica SP5X). Algae sample 2088. Sample provided by Dr. Chris Lane Lab at Univ of Rhode Island (Colleagues of Dr. Charles Delwiche). 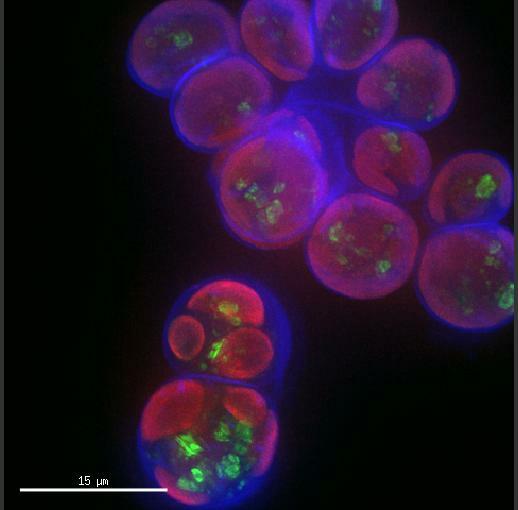 Chloroplasts in red, cell walls in blue (Calcofluor white). (Leica SP5X). Algae Sample 1665. Sample provided by Dr. Chris Lane at Univ of Rhode Island (in collaboration with Dr. Charles Delwiche, UMD). Chloroplasts in red. (Leica SP5X). Algae sample 2088. Sample provided by Dr. Chris Lane Lab at Univ of Rhode Island (Colleagues of Dr. Charles Delwiche). Chloroplasts in red, cell walls in blue (Calcofluor white). (DeltaVision Elite). Algae Sample 153. Sample provided by Dr. Chris Lane at Univ of Rhode Island (in collaboration with Dr. Charles Delwiche, UMD). 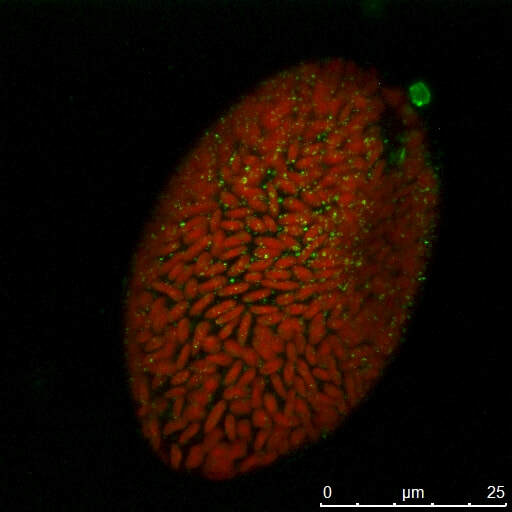 Chloroplasts in red, eyespot in green. (DeltaVision Elite). Algae Sample 1767. Sample provided by Dr. Chris Lane at Univ of Rhode Island (in collaboration with Dr. Charles Delwiche, UMD). Chloroplasts in red, cell walls stained with Calcofluor white (cyan). (Deltavision Elite). 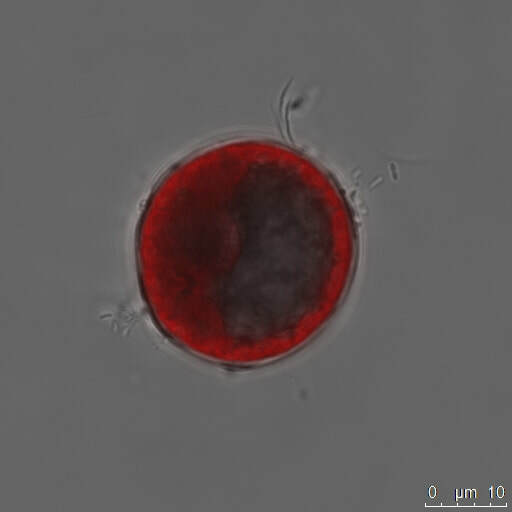 Algae Sample 880. Sample provided by Dr. Chris Lane at Univ of Rhode Island (in collaboration with Dr. Charles Delwiche, UMD). Chloroplasts in red, cell walls stained with Calcofluor white (cyan). (Leica SP5X).